Imagine being transported back in time to more than 2200 years ago…when you open your eyes you’ll be in China embarking on a voyage to discover the last great archaeological find of the 20th century, after the discovery of the tomb of Tutankhamun. 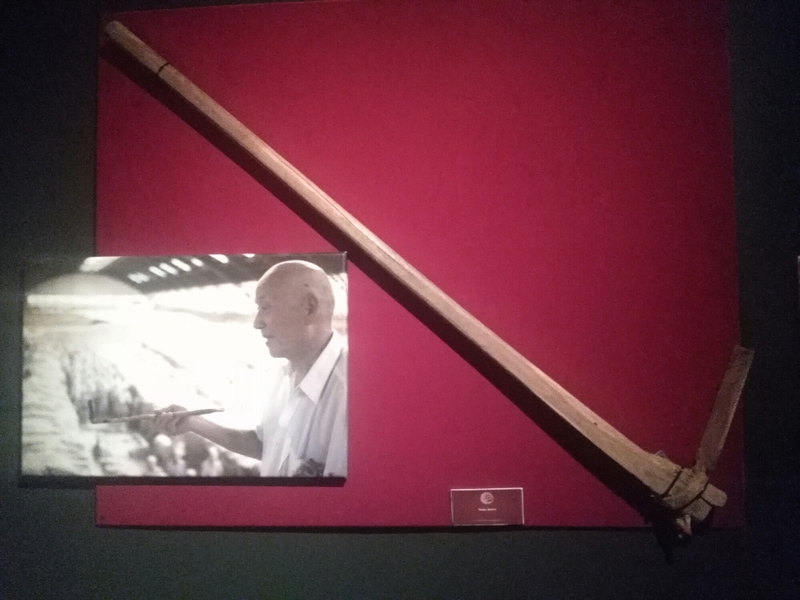 Armed with this pickaxe we uncover the great history behind The Terracotta Army and the First Emperor of China, the exhibition will leave you in awe at the work that went into immortalizing this great Army. The Terracotta Army comprises the most spectacular part of the First Emperor of China’s Necropolis. The construction of the Necropolis required the contribution of more than 720 000 workers during 36 years. However, The First Emperors unexpected death did not allow for the construction work to be completed. The exhibition showcases over 300 objects, with more than 180 warriors. The displays are all built, hand painted, and made of the original Terracotta Clay which will run over 1200 square meters and over seven scenes – the exact area of the original army. A large sectional recreation of Pit No 1 (the largest pit of the ancient mausoleum) is a highlight, showing clearly the enormity of what is the newest and most important archeological find of the 20th Century. 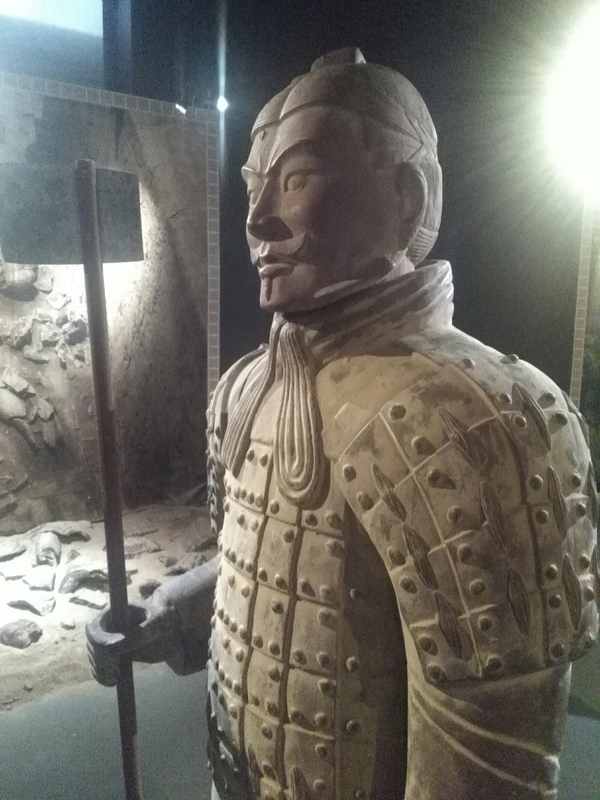 If you love history and want to know more about The Terracotta Army this exhibition is definitely for you, if you like me and you just intrigued at the detailing of each of the clay warriors you’ll enjoy feasting your eyes on greatness. Walking into the Nº1 Pit is the highlight of the exhibition seeing the warriors lined up in formation after going through the history just seeing this come to life is amazing. Tickets are available fromwww.webtickets.co.za or at the on-site box office. 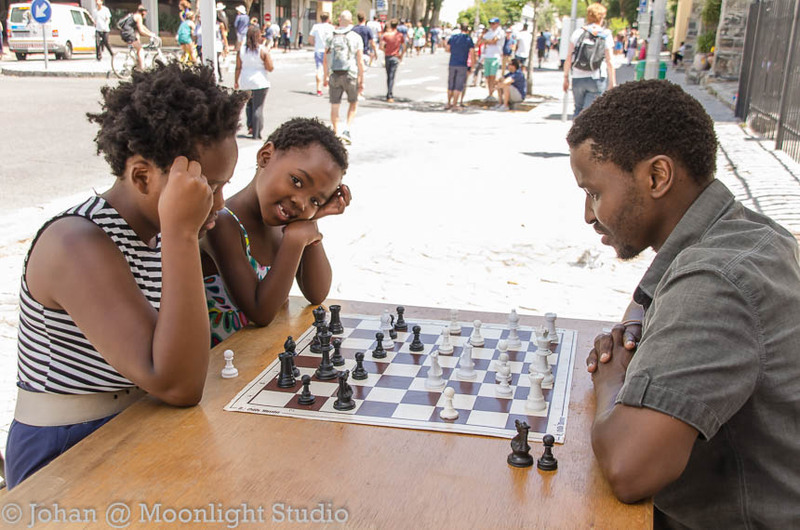 Prices range from R135 for adults, R80 for children, R90 for pensioners and students, and R330 for a family of four (two adults and two children). Children under the age of five enter free. Special school packages are also available. For more information, visitwww.exporsa.co.za or email info@exporsa.co.za . The exhibition runs until the 10th February 2017 so you still have time to be amazed. This entry was posted in Uncategorized on January 24, 2017 by shaunjengel. So we are still in January, the New Years resolutions are still on track or they could’ve fallen along the wayside but hey hang in there it takes 21 days to form a habit and only 3 days to conquer the 3 Peaks of Cape Town. 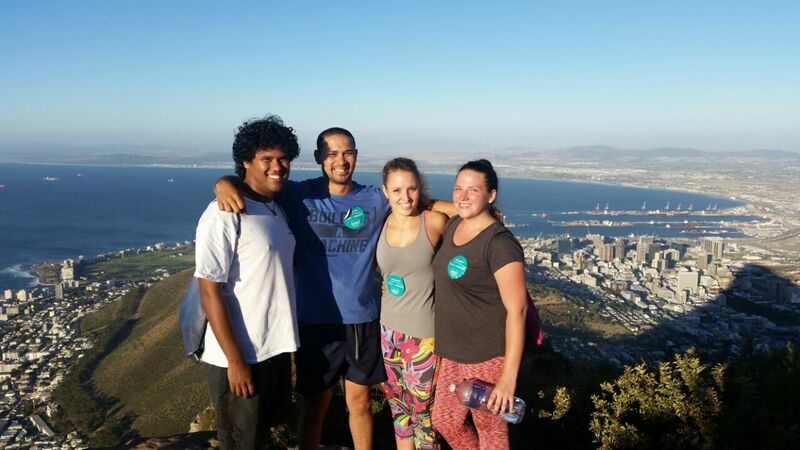 The 3 Peaks Challenge consisting of Lions Head, Devils Peak and Table Mountain was started by two friends and is hoping to grow across Cape Town to friends of friends of uh yeah you guessed it….friends. 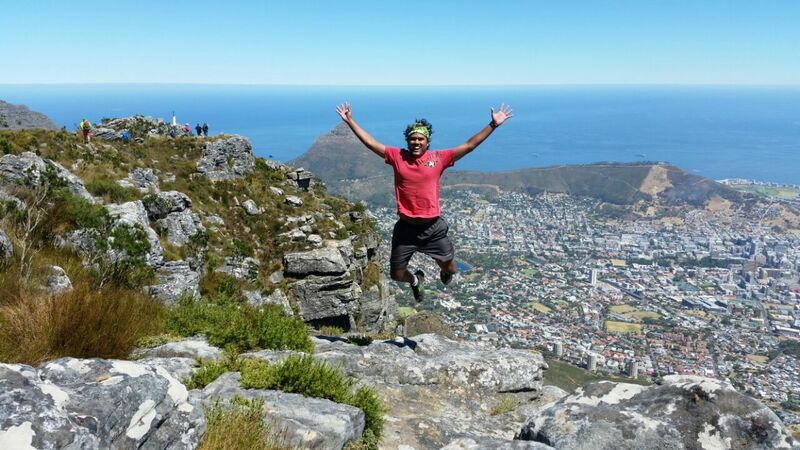 When I heard about it I got excited because it would be my first time climbing Devils Peak, I asked a friend to join and he suggested we do Lions Head too as preparation. This was an evening hike chasing the sunset, it is not that tough but has it’s moments especially with the chains but ofcourse getting to the top is all worth it. Day one was not that bad we managed to see an amazing sunset and I learnt that apparently you can see a green flash when the sun sets – think it has something to do with that thing they use in Men in Black. The next morning we rose early for the much anticipated Devils Peak, I was excited but not prepared for what was to come. Ok just kidding it was actually not that bad except for those thorny trees, this must be the Devil telling you to turn back…..uh NO WE WILL NOT BE FOOLED. Climbing a mountain is alot like life, you set yourself a goal and do everything in your power to achieve it. There may be stumbling blocks along the way or a different path to take but ultimately if you stay focused you’ll reach the final destination. 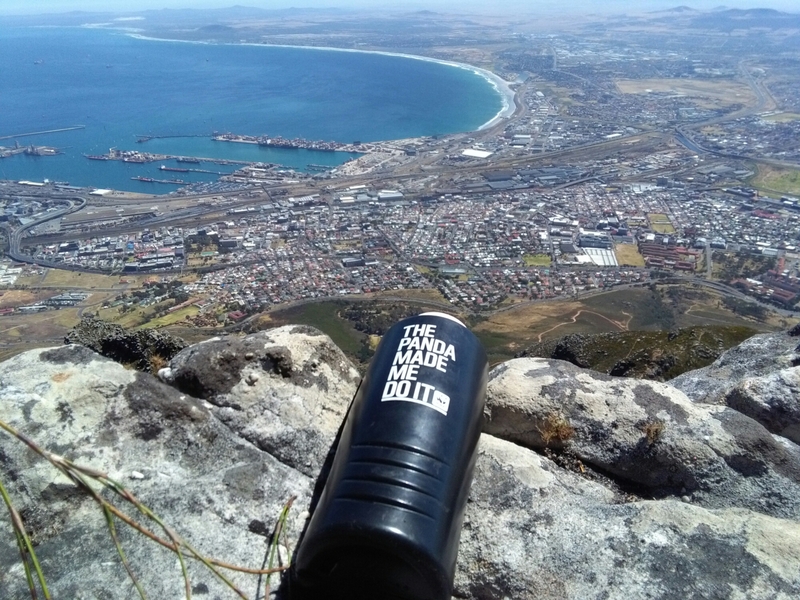 My goal was to conquer Devils Peak and let me tell you the victory was worth it, no words can describe that amazing 360 degree view hmmmm Cape Town you beauty. Day three was suppose to be Table Mountain but because I competed in The Open Streets Amazing Race Challenge I could not be in two place at the same time uh I’m not Batman you know, so this is on hold till next time…..reaching for the sky is not the limit but it feels pretty good. If you’d like to join on the next challenge or have a friend of a friend of a friend who’d be interested check out the facebook page for more info –Leopold7 3 Peak Challenge. This entry was posted in Uncategorized on January 17, 2017 by shaunjengel. 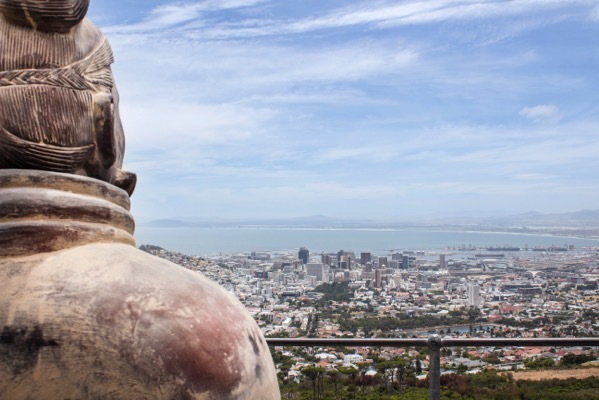 How well do you know Cape Town? Ok let me be more specific, how well do you know the history of Cape Town? It was us against The Skyscrapers, initially I thought we could make friends and work together but with only two teams this was not possible we were in it to win it, after a quick briefing we were off to explore the city. Like flying fish we swam/flew through the streets solving some of the clues with ease plus taking pictures along the way but to our annoyance we were stumped with one question. Do it in luxury. At what time did the coach tours leave the parade every friday? Without order nothing can exist – without chaos nothing can evolve, these words summed up the experience when we eventually found the answer. The race tested our physical and mental toughness as well as friendship….my friends learnt that if I were to choose someone to be the President it’ll have to be Bart Simpson…..this is obvious guys really. 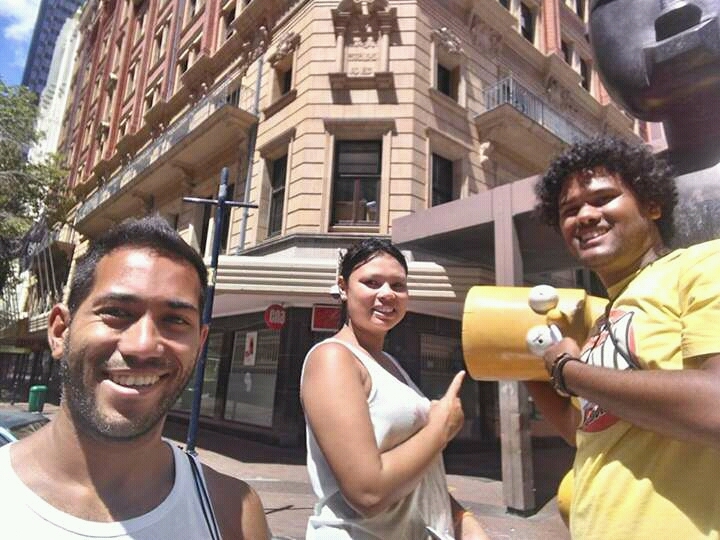 Life is too important to take seriously – We had so much fun along the way asking people for help, it was all worth it in the end as we were victorious getting the co-ordinates to our final destination and arriving first – TEAM FLYING FISH are the winners of The City Street Race at Open Streets Cape Town. This entry was posted in Uncategorized on January 16, 2017 by shaunjengel. 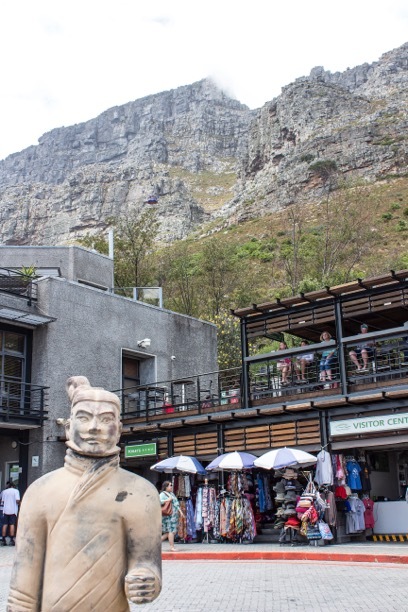 Reports have been coming in the last few days of a strange and bizzare occurance: lifesized ancient Chinese terracotta solders have been spotted in key tourist hotspots around Cape Town. 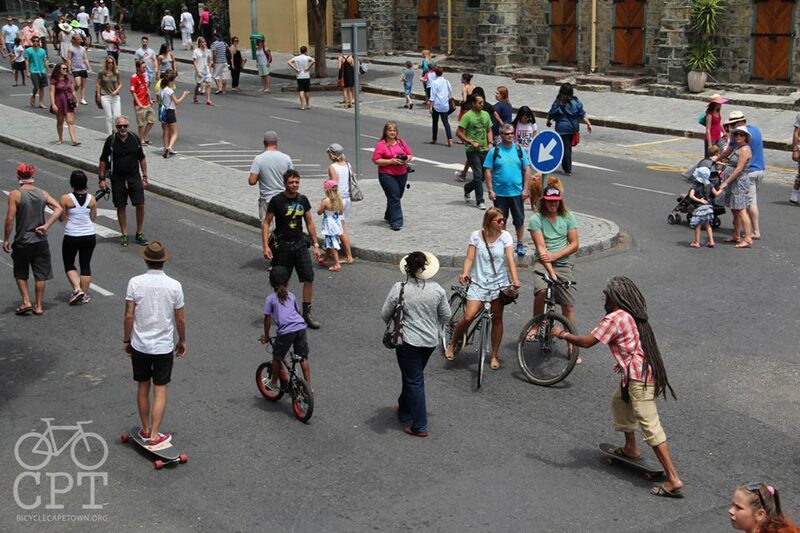 A cyclist on the Sea Point Promenade sent this photo of one such soldier hanging out at the popular pedestrian area. 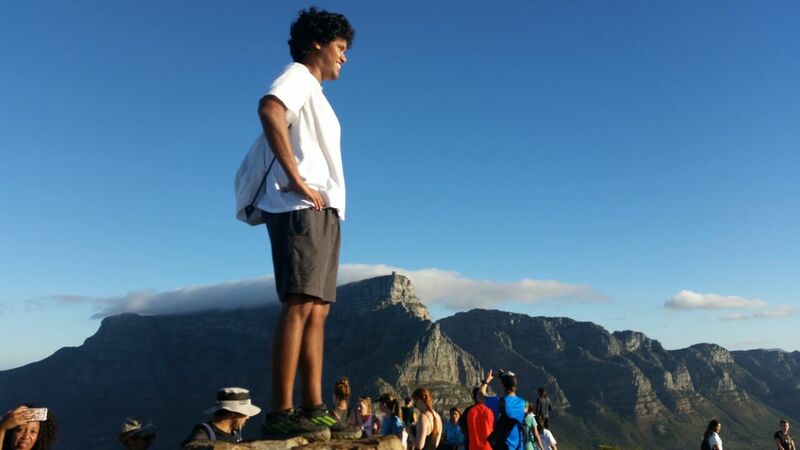 Another bemused passerby sent this picture of a soldier queuing to get up Table Mountain. While another was seen wanting to get in on some sporting action this past weekend at Cape Town Stadium. But don’t panic! After further investigation, it has been discovered that these terracotta soliders have been touring Cape Town ahead of their official arrival in the city. The Terracotta Army and the First Emperor of China: The Exhibition makes it majestic march to Cape Town this December for the first time. 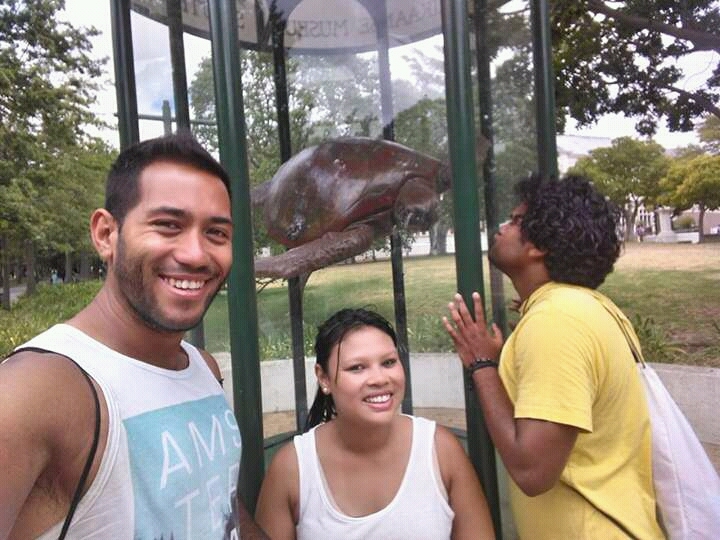 Are you fascinated by culture and history? Have you ever wondered what it would be like to have lived in Ancient China? 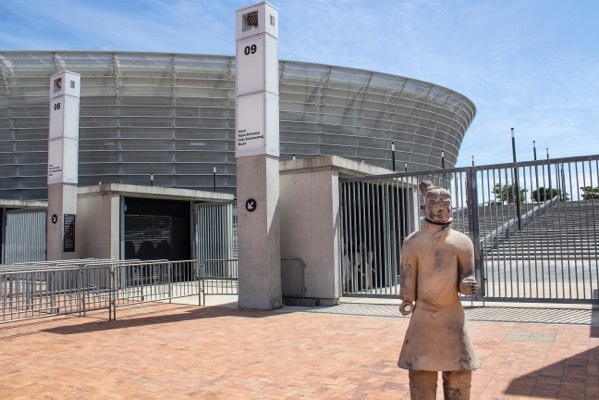 Discover the mysterious secrets of China from times long past with the Terracotta Army proudly brought to you by Expo RSA and the V&A Waterfront. Opening at the V&A Waterfront on the 10th December 2016 and running to 10 February 2017 from 10am-7pm (seven days a week) the exhibition is an extraordinary voyage into the China of 2 200 years ago. It is, undeniably, the most complete exhibition of the Terracotta Army, the necropolis and life of the First Emperor ever created. 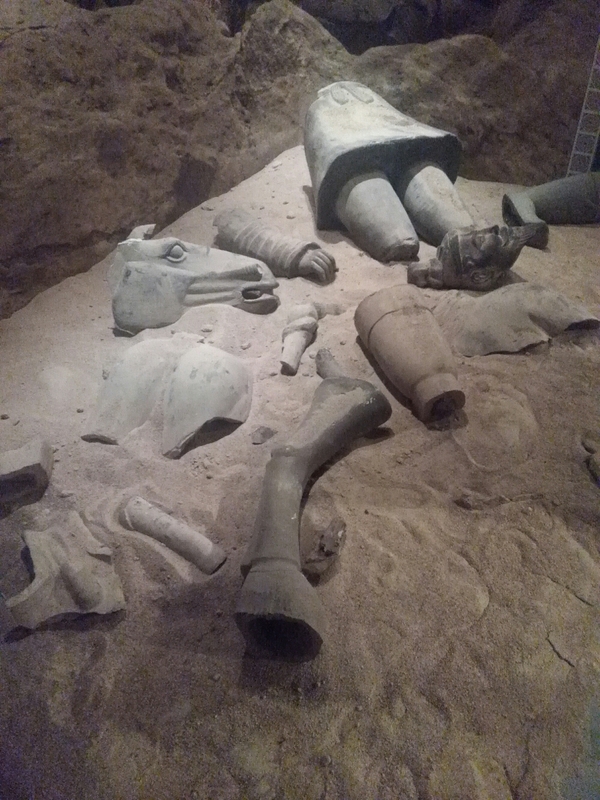 In an incredible staging, this exhibition brings together life-size reproductions of statues, chariots, weapons and objects from the daily life of the First Emperor of China, Qin Shi Huang, such as they were discovered in the more than 100 pits of the necropolis. The exhibition showcases over 300 objects, with more than 180 warriors. 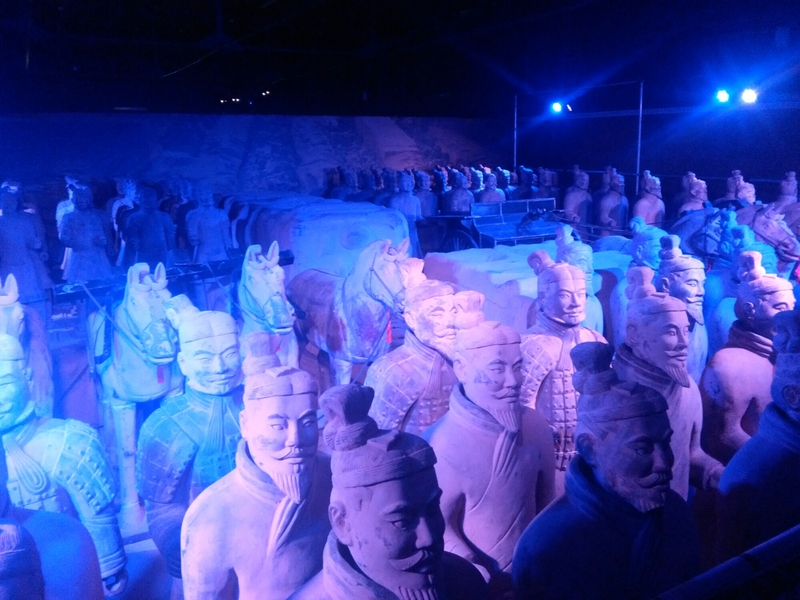 The displays are all built, hand painted, and made of the original Terracotta Clay which will run over1200 square meters and over seven scenes – the exact area of the original army. A large sectional recreation of Pit No 1 (the largest pit of the ancient mausoleum) is a highlight, showing clearly the enormity of what is the newest and most important archeological find of the 20th Century. Tickets are available from www.webtickets.co.za or at the on-site box office. Prices range from R135 for adults, R80 for children, R90 for pensioners and students, and R330 for a family of four (two adults and two children). Children under the age of five enter free. Special school packages are also available. For more information, visit www.exporsa.co.za or email info@exporsa.co.za . 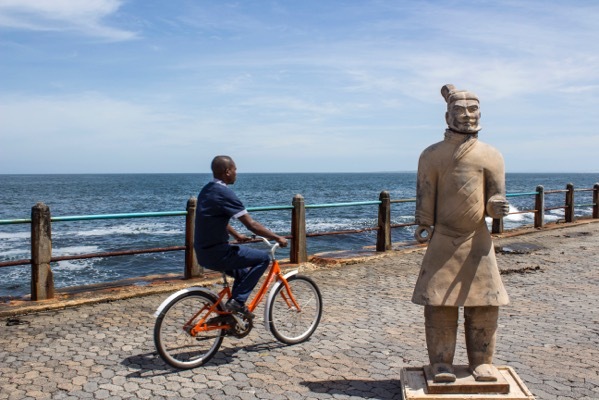 Caption: The Terracotta Army will call Cape Town home until 10 February 2017 as “The Terracotta Army and the First Emperor of China exhibitions runs throughout the holiday period at the V&A Waterfront. This entry was posted in Uncategorized on January 12, 2017 by shaunjengel. So we made it – 2017 is here, back to the grind with new challenges and accomplishments to be achieved….but wait why can’t we have a little fun along the way??? 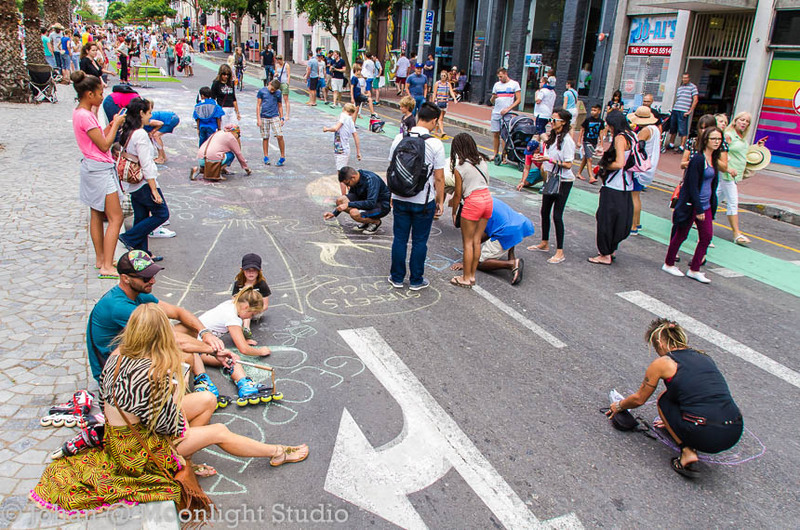 Open Streets Cape Town is back, diarize the 15 January 2017 and grab your bicycle, running shoes, skateboard or electric scooter uh if you own an electric vehicle these are welcome too but only until the designated parking spots because as you should know by now – NO CARS ALLOWED. 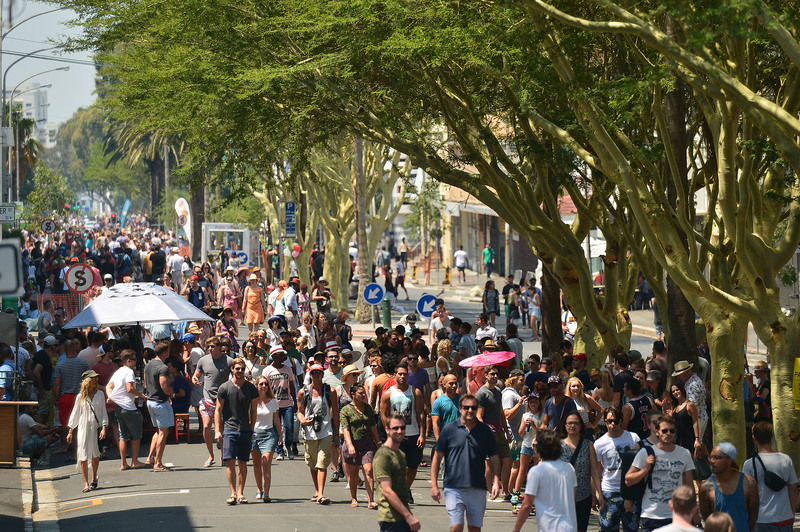 The Open Streets initiative allows for the free interaction of our people in a safe space, let out your inner child and explore the streets on foot – yes we all know you have that resolution to get fit – Open Streets has you covered, why not try some of these activities. How about Pole Dancing by Pole Dance Cape Town I heard this is a super workout and something different. From my experience at previous Open Streets events there is something for everyone to enjoy, young and old, all fitness and imagination levels are welcome just remember, free your mind and leave your bad attitudes at home – even better leave the car at home, reduce your carbon footprint by using public trsnsport on the day. With our help we can take this initiative right across Cape Town making it more accessible and safer for all to enjoy, even if it is just for one day that one day can and will make a difference. See you there!!! 15 January 2017. This entry was posted in Uncategorized on January 5, 2017 by shaunjengel.